The Arthurian romance novel was wildly popular in the twelfth and thirteenth centuries. Ever since Chrétien de Troyes turned the Celtic legends of Arthur, Lancelot, and Guinevere into a proper romance, writers had been turning out volume after volume of sequels, prequels, and what amounted to medieval fan fiction of the Arthurian franchise. Arthurian knights in shining armor were everywhere. 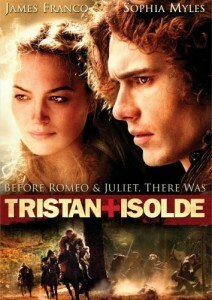 People were naming their kids “Tristan” and “Guinevere.” Little boys wanted to be Lancelot when they grew up. 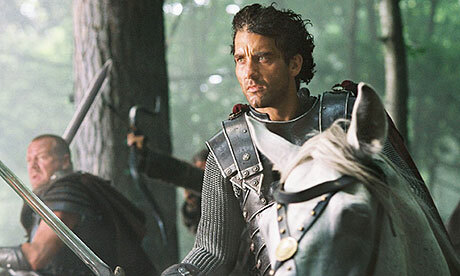 These stories have staying power: recent Hollywood productions of Arthurian chivalric romances star such hunky leading men as Clive Owen (Arthur) and the ubiquitous James Franco (Tristan). Aside from entertaining audiences with tales of knights, ladies, and wizards all questing and casting spells and pining away for each other, these novels served a ‘higher’ purpose —they were meant to connect ancient history with contemporary history, to provide readers with a broad historical perspective, a sense of continuity, and to legitimize current rulers as heirs to ancient legacies of political power that went back all the way to the days of the Roman Empire. Arthur was descended from both Roman and British parents, and the young lovers Floire and Blancheflor became the parents to the ancestors of Charlemagne. This way, British and French authors could combine local lore and the political credibility with those of the classical tradition that gave Europe its Church, its lingua franca (Latin), and by extension many of its colloquial Romance languages that descended from Latin: the many languages spoken in what are now England (where Norman French was the language of the court from the 11th to the 13th centuries) Portugal, Spain, France, and Italy. The Arthurian stories were as popular on the Iberian Peninsula as they were north of the Pyrenees. 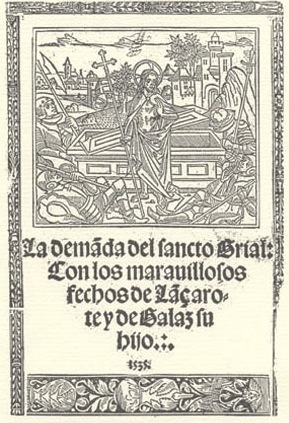 Full Castilian translations of the Lancelot cycle and some of the legends of the Quest for the Holy Grail, along with books about Merlin and Joseph of Arimathia appeared at the beginning of the fourteenth century, but the stories were well known and beloved by Iberians for at least two full centuries prior. Troubadours sang about Lancelot and Tristan as early as the 1100s, when Chrétien de Troyes was writing his novels. People sang ballads narrating single episodes drawn from Arthurian legends. Just around the turn of the fourteenth century, some twenty years before the Castilian translations of the Arthurian books were made, an anonymous author wrote a book in Castilian about the adventures of a knight named Zifar (more on the funny name later), or alternatively The Knight of God. In some ways this Zifar was very much like the knights of Arthurian tradition. He galloped around looking for adventures, damsels in distress, the poor and defenseless in need of a champion. He spoke like an Arthurian knight, in elevated speech studded with wise sayings and proverbs. And the book was heavy on swordfights and trash-talking, cocky bad guys who inevitably meet their comeuppance via cold steel. But our Zifar, like so many medieval Iberian interpretations of cultural forms that crossed the Pyrenees, was, well, different. Instead of obsessing over some impossibly beautiful but inaccessible lady (in the style of French and English courtly lovers and troubadours) he was married to a woman he loved, with whom he had two sons, and who traveled with him —at least at the beginning of the book— on his adventures. He was really religious, and all of his knightly deeds were performed not (as was de rigeurfor Arthurian types) in the name of his lady, but in that of God or the Virgin Mary. He was righteous to a fault, and tended to moralize— a lot. What’s more, his book is full of proverbs, sayings, exemplary tales, and epigrams. So much so that at times it reads more like a collection of proverbs or a manual for writing sermons than a Tristan or Lancelot knockoff. What’s more, the fantastic geography typical of Arthurian novels replete with made-up personal names and place names in Zifar begins to sound like Arabic, a language not exactly foreign to in the context of medieval Toledo, which was ruled by a Muslim king until it was conquered by Alfonso VI of Castile and Leon in 1070. Taken together, the book is something like an allegory for medieval Castilian cultural history told in the form of a chivalric adventure novel. The book’s prologue sheds light on some, but not all, of Zifar’s idiosyncracies. It was written by Ferrant Martínez, Archdeacon of the Church of Toledo and protégé of the great, recently deceased Cardinal Gonzalo Pérez Gudiel, native of Toledo who went on to an illustrious career in the Church and who was buried in the Vatican. Before turning the stage over to the adventures of Zifar, the Knight of God, Martínez tells us of his own epic adventures. 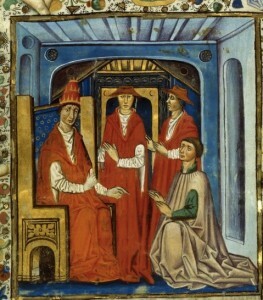 He sets out to Rome in the Jubilee Year 1300 to convince the Pope (Boniface VIII) to let Martínez bring the body of Cardinal Gudiel back to Spain to be buried in the Cathedral of Toledo as per the Cardinal’s last will and testament. The Pope does not like this idea one bit. We bury Cardinals in Rome, he says, period. But that is not exactly true. A couple of Cardinals were buried outside of Rome. Most Cardinals were buried in Rome AND elsewhere. 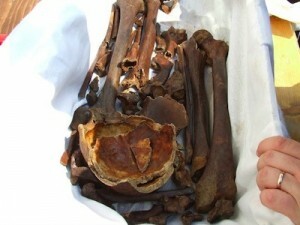 That is, after they died their bodies were typically divided so that parts of their remains might be buried in Rome and other parts in cathedrals in their homelands, or in other cathedrals with some sort of ecclesiastical or political connection to the deceased in question. All of which is pretty icky when you think about it: one had to dig up the body, boil the bones, and divide them up for shipping to their various destinations. The pope who denied Martinez’ request Pope Boniface VIII found it fairly icky as well, and in fact some four years before Cardinal Gudiel’s death, the Pope had published a letter prohibiting division of corpses as an act of ‘detestable brutality’ (Hernández and Linehan, Mozarabic 398). However, this Boniface was not merely squeamish —he objected to the division of corpses on philosophical grounds. In the thirteenth century there was a massive debate afoot at the University of Paris, where many of the top clergy in Rome trained. Part of this debate had to do with the nature of the human soul. During the twelfth century translators working in Toledo and elsewhere in Spain had brought many works of Arabic philosophy over into Latin. These translations spurred massive debates among Catholic Theologians (most notably St. Thomas Aquinas) who struggled to reconcile the ideas of Aristotle and other Greek philosophers with Catholic doctrine. The question of the nature of the human soul was an important piece of this larger debate, and Catholic theologians tended to fall in with the ideas of Ibn Sina (Avicenna in Latin) or Ibn Rushd (Averroes in Latin). Followers of Avicenna held that the soul had substance, resided in the body, and was indivisible. Followers of Averroes believed that the soul was divisible and did not reside in the body as substance. But back to our Cardinal’s body and our squeamish pope. Pope Boniface sided with the Avicennists, and his interpretation of the Avicennist position on the soul meant that it was wrong to divide the bodies of deceased churchmen —that was something only an Averrorist would do, for Pete’s sake! So Martínez now had to choose between Rome or Toledo. This arcane theological argument had real, concrete implications: only ONE cathedral would house the bodies of important churchmen. 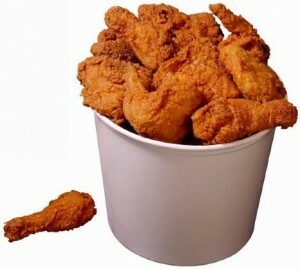 They would now have to compete for the remains of prestigious deceased, and this had very real implications for men like Ferrant Martínez, who otherwise would be content bringing a wing or a thigh back to Toledo instead of the whole bird. Thanks to Avicenna and Averroes, it had to be the whole bird. But what, you may ask, does all this have to do with the adventures of our very Christian, quasi Mozarabic, and sort of Arthurian knight Zifar? In the pages of Zifar we see all the political, cultural and spiritual issues of the times in Castile played out in chivalric narrative. The struggle with Islam both on the peninsula and the Crusades in the East are projected onto the fictional Kingdoms of Mentón and Tigrida, set in the Middle East. The Castilian debt to Andalusi learning and culture comes through in the protagonists’ names and impressive command of Andalusi wisdom. 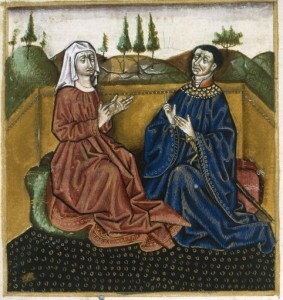 The whole book is a sort of allegorical road map for navigating medieval Castilian culture, from the assimilation of Andalusi learning to the popularity of Arthurian romance to the deeply ingrained proselytic impulse that was product of a centuries-old culture of conversion of the Peninsula’s Jews and Muslims. The great irony in the question of the body is that Gudiel himself had ordered the a translation of Avicenna into Latin, the same translation that made possible Bonfiace’s decision to ban the division of corpses and thereby nearly keep Gudiel from returning, after his death, to his beloved Toledo. The legacy of Andalusi learning was, in the adventures of Zifar in Mentón as in the adventures of Ferrant Martínez in Rome, the engine that kept events turning in Spain and in Rome as well. Brownlee, Marina. “Romance at the Crossroads: Medieval Spanish Paradigms and Cervantine Revisions.” The Cambridge Companion to Medieval Romance. Cambridge: Cambridge University Press, 2000. 253–266. Print. Burke, James. “Names and the Significance of Etymology in the Libro del caballero Zifar.” Romanic Review 59 (1968): 161–173. Print. Corriente, Federico. A Dictionary of Andalusi Arabic. Leiden: Brill, 1997. Print. Forey, A. J. “The Order of Mountjoy.” Speculum 46.2 (1971): 250–266. Print. González, Cristina. “El cavallero Zifar” y el reino lejano. Madrid, España: Editorial Gredos, 1984. Print. —, ed. 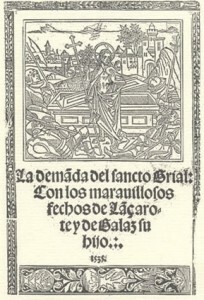 Libro del Caballero Zifar. 3rd ed. Madrid: Catédra, 1998. Print. Hernández, Francisco J, and Peter Linehan. The Mozarabic Cardinal: The Life and Times of Gonzalo Pérez Gudiel. Tavarnuzze (Firenze): SISMEL edizioni del Galluzzo, 2004. Print. Nelson, Charles L, trans. The Book of the Knight Zifar: A Translation of El libro del cavallero Zifar. Lexington, Ky.: University Press of Kentucky, 1983. Print. O’Callaghan, Joseph F. Reconquest and Crusade in Medieval Spain. Philadelphia: University of Pennsylvania Press, 2003. Print. Walker, Roger M. Tradition and Technique in El Libro Del Cavallero Zifar. London: Tamesis Books, 1974. Print. This post was written in conjunction with a paper I’m giving titled “El Libro del Cavallero Zifar: Performing ‘Spanishness’ in the Mediterranean Context“ at the 2013 Rocky Mountain Modern Language Association (Vancouver, WA), 10 October 2013. Thanks to Prof. Anthony Cárdenas for organizing the session.